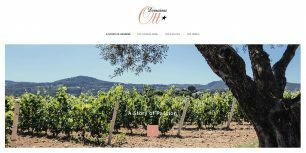 Domaines Ott are delighted to announce the launch of their stunning new website, designed to showcase the Domaines’ wines and vineyards in a format that is logical and visually attractive in equal measure. Click here to be navigated to the website, which contains information about the history of the Domaines, the Estates, and the Domaines Ott range, including their newly released By.Ott. Contact Christine Allen to find out more.